According to Tyrewise.co.nz, roughly four million passenger tyres and 1 million other types of tyres reach the end of their life cycle each year in New Zealand. Thankfully, a large number of these are disposed with properly and safely, but there are still too many of them that are illegally dumped, which leads to significant consequences for both the taxpayer and the environment. In order to minimize these consequences, the best course of action is to recycle your old tyres. Why should you recycle your tyres? First of all, dumped tyres can create dangerous breeding grounds for mosquitos that can transport dangerous diseases such as dengue fever. Mosquitos kill more humans than any other animal in the world each year, and tyre dumping sites cause them to breed at a much higher rate. Occurrences of Dengue fever increased massively in Australia and Vietnam near waste tyre stockpiles, and other countries like the U.K and Canada have banned the exporting of waste tyres as a result. Secondly, tyres are extremely combustible, and are difficult to extinguish once they start. Bushfires can ignite tyre piles that are stored in inappropriate places, and being difficult to extinguish, spread massive amounts of toxic chemicals that can affect humans, animals and plants alike. There is a tyre fire in Wales that began in 1989 that is still burning to this day! The third environmental impact that tyres cause is the simple fact that they release significant levels of toxic compounds into the environment, even if they don’t catch fire. Chemicals like lead, cadmium, mercury, hydrogen chloride and arsenic all contribute to cancer and mutations, so it’s best to not leave those tires lying around! How are used tyres recycled? And of course, new tyres! So it really is just recycling on a larger scale. Institutes like Tyrewise and Tyrecycle are constantly seeking to discover new ways that for old tyres to be repurposed, so that list is likely to grow in the coming years. Just think, by turning in your old tyres to be recycled, you could be making someone else very happy, as well as saving the environment. It’s a win-win situation. Do Kiwis recycle their tyres? In 2014, a Canstar Blue survey found that more than half of Kiwi tyre purchasers would e happy to pay a levy in order to have their tyres disposed of safely. Despite this, the NZ Institute of Economic Research found that the fate of 67% of tyres in this country is unknown. This obviously is not good enough. In the time since, numerous actions have been taken to try and improve the situation, such as the Environment Minister offering funding grants for new ideas involving tyre disposal. So has the state of NZ tyre disposal changed? Unfortunately, no, it has not. Environment Minister Nick Smith has stated that only ¼ of used tyres were safely disposed of last year, which is essentially the same as the year before. “New Zealand’s current management of waste tyres does not match up with our clean, green brand. Too many end up in rivers and on the coast, or unwanted stockpiles posing a fire risk”, he said, according to the NZ Herald. Clearly, much more work needs to be done on our part to stop the improper dumping of old tyres. Well for starters, you can recycle your old tyres! You can’t recycle everyone’s tyres for the, but taking care of your own will ensure that you’re doing all that you can for the environment. If everyone did this then there wouldn’t be a problem. Make sure your colleagues, neighbors and family are all aware of the importance of tyre recycling too. You can get your tyres to recycling locations in multiple ways. The first and most common way is to take your old tyres back to a retailer such as your local mechanic. When doing this, make sure you enquire as to what they will do with the tyres. If they say they’re not going to dispose of then probably, then drop them somewhere else! If you don’t trust them to do the right thing, then you can always take them to a recycling location by yourself. You can find these locations by asking whichever company you’ve decided to take them to. Some of these companies, such as Tyre Recycling Waikato, can actually come to your house and pick them up. On the other hand, if you either don’t want to or can’t take your tyres to get recycled, then there is another alternative to dumping them in the nearest creek. 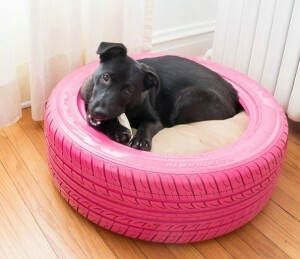 You can repurpose old tyres into almost anything for your house. You can make plant beds, sandpits, swings and even doggie beds, just to name a few. Ultimately, it’s the little things you do that count. If you see a tyre abandoned on the side of the road, take it home with you or call someone to have it picked up. 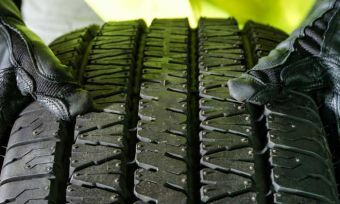 And if you are a part of a business that produces a large number of end-of-life tyres every year, then it is especially important that you know your tyres are being disposed of responsibly.